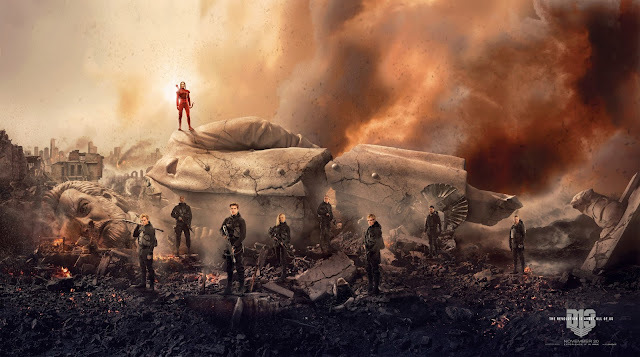 Today marks the 5th anniversary of the release of Suzanne Collins' Mockingjay, and to celebrate the occasion, Lionsgate have unveiled a new STUNNING banner on the official movie site featuring the squad, officially titled 'Fallen Snow'. Check out the full banner below, and click here to download in hi-res. The official account on Snapchat (MOCKINGJAYPT2) are also marking the anniversary with a week-long series of activities and giveaways! Head over to squad451.thehungergames.movie for the full experience.